IBM Cloud Container Service combines Docker and Kubernetes to deliver powerful tools, an intuitive user experience, and built-in security and isolation to enable rapid delivery of applications all while leveraging Cloud Services including cognitive capabilities from Watson. NeuVector provides a unique run-time security automation solution for IBM Cloud to fully secure Kubernetes environments. The solution delivers a true Layer 7 container firewall with east-west traffic visibility combined with container process monitoring and vulnerability scanning. The deployment automation enabled by Kubernetes comes with security challenges caused by low visibility into the constantly changing east-west communication traffic within the Kubernetes environment. Traditional security solutions cannot detect threats and container attacks across several fronts, from vulnerability exploits to privilege escalation to sophisticated insider attacks. Image scanning and hardening are equally insufficient to protect these environments in run-time, as unknown vulnerabilities, zero-day and insider attacks can – and will – evade their protections. The NeuVector solution available to IBM Cloud customers is designed to safeguard networks, containers, and hosts on the IBM Cloud Container Service with multi-vector threat detection. 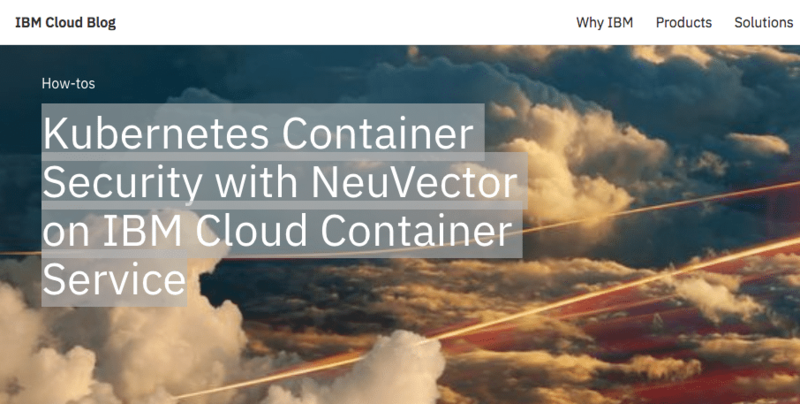 Learn more about how NeuVector secures containerized environments on IBM Cloud here. 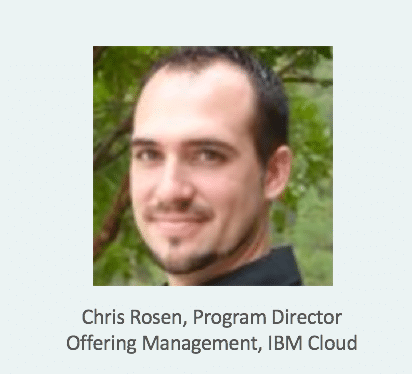 IBM Cloud Container Service makes it easy to set up a Kubernetes cluster to host your containerized applications. When running such applications in production, security is required to ensure that applications are safe and communicating properly. An on-demand webinar with IBM Cloud details how the NeuVector solution integrates with IBM Cloud Container Service to provide IBM Cloud customers with the confidence to deploy Kubernetes workloads in production. The free webinar is available on-demand here.